A group of twenty modules linking mathematics and biology for use in high school classrooms is now available for free download . The modules were developed in two DIMACS-led projects with support from the National Science Foundation (NSF). A group of twenty modules linking mathematics and biology for use in high school classrooms is now available for free download from the Consortium for Mathematics and Its Applications (COMAP). The modules were developed in two DIMACS-led projects with support from the National Science Foundation (NSF). Publication of the modules is the culmination of a decade-long effort, involving many researchers and teachers responsible for writing and reviewing the modules, as well as teachers from across the country tasked with testing the modules in their classrooms. The result is a set of twenty well-vetted modules that can be flexibly adapted for use in a variety of courses at a variety of grade levels in both biology and mathematics. The interdisciplinary nature of the modules makes them amenable to individual or team teaching and offers students a contemporary view of science as a multidisciplinary enterprise. Each module is self-contained, has a student version and a teacher version, and provides instructional materials for approximately five 40-minute class meetings. The modules include web based interactive materials that provide additional opportunities for teachers and students to learn the material both inside and outside of classrooms. Modern biology is increasingly seen not only an experimental and observational science, but also as a data and information science. Mathematical biology can be loosely defined as the use of mathematical sciences (broadly including computer science, mathematics, and statistics) for answering biological questions. The names of subfields at the interface of the mathematical and biological sciences—bioinformatics, biostatistics, computational ecology, etc.—attest to the critical interplay of the constituent disciplines. As these interdisciplinary fields took root in colleges and universities, undergraduate and graduate students gained access to topics at the interface of the mathematics and biology, but these topics had not yet made it into the high schools. It was this void that Fred Roberts (director of DIMACS at the time) sought to fill with several pioneering projects. 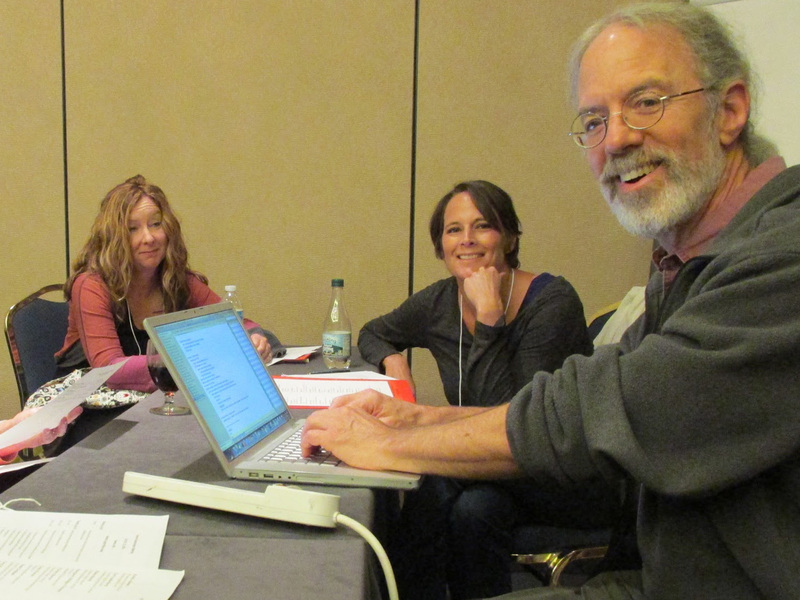 Beginning with a SGER (Small Grants for Exploratory Research) grant from NSF in 2004 to investigate ways to connect the mathematical and biological sciences in high school classrooms and another grant to hold a conference on the topic, associated activities blossomed at DIMACS. 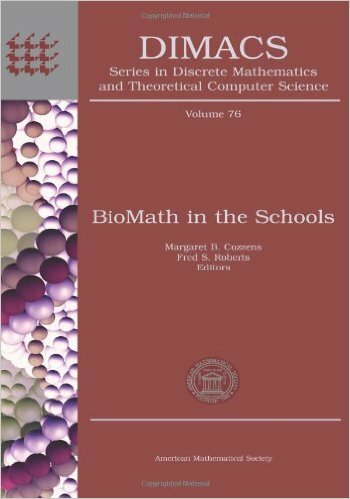 They led to a new DIMACS Volume on “BioMath in the Schools,” edited by Roberts and DIMACS faculty member, Midge Cozzens. They also laid the foundation for two larger NSF-funded projects, led by Roberts and Cozzens, for full-scale development of biomath modules and courses. The “Bio-Math Connection” (BMC) project developed an initial set of fifteen modules between 2006 and 2010, particularly addressing themes in mathematical epidemiology, ecology, and computational biology. The recently completed “Challenge of Interdisciplinary Education: Math-Bio” (IMB) project added five additional modules and thoroughly edited the entire set of twenty modules to unify style and assure content at the twelfth-grade level. The latter step was critical to answer the call by teachers for building modules-based courses. The newly published modules can be used individually or combined to form new courses in biomath. As the materials have become available a variety of new courses are emerging. These include one- and two-semerster courses, offered as science courses in some schools and math courses in others. COMAP announced the availability of the modules to high school math and biology departments in mid-September. Since the announcement, modules have been downloaded by 85 schools in 28 states. Module titles with links to the student versions are provided below. Teacher versions are available through the COMAP BioMath webpage with registration. 8) Ecological Footprint: What’s My Impact? The BMC project was supported by the National Science Foundation under award DRL-0628091, and the IMB project was supported by the National Science Foundation under award DRL-1020166.